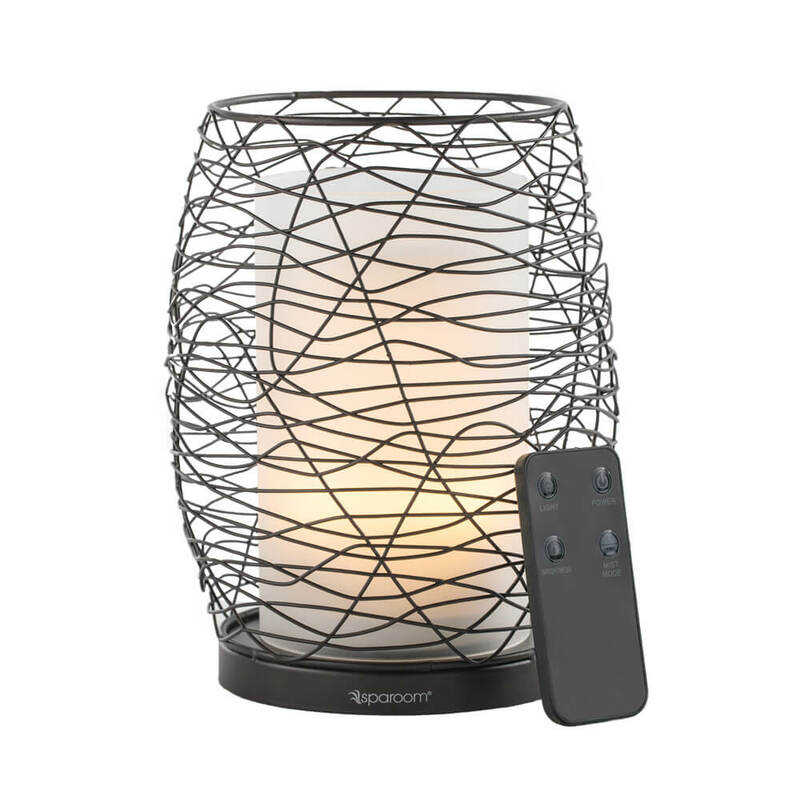 Enlighten your atmosphere as a candlelight glow peeks through the mist as it flows through the dark chocolate framework. The Enlighten essential oil diffuser creates the perfect ambiance to awaken your senses and allow your passions to thrive. 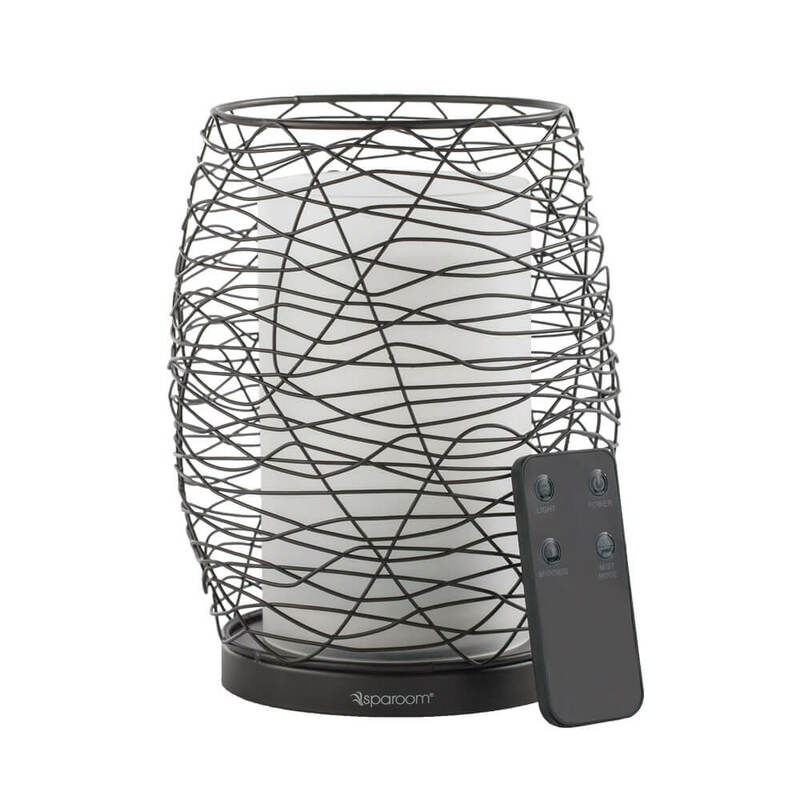 A cylindrical glass centerpiece is surrounded by a black wire framework giving this diffuser a unique appearance for any modern decor. 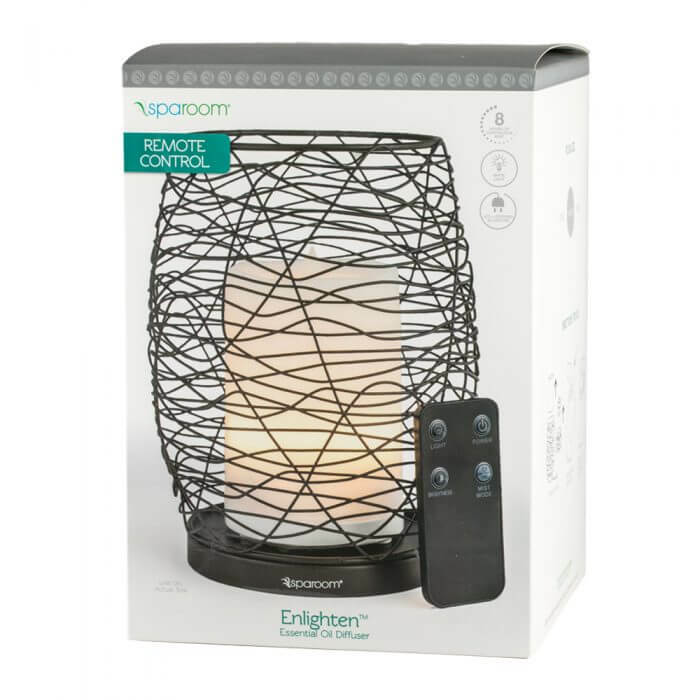 Includes a remote with an operating distance of up to 15 feet.